In these parts the financial year begins on 1st July. A good time for fiscal resolutions and for a vinyl addict with fast diminishing storage space and finite resources to ponder stemming – or at least reducing – the flow. The original idea was to have a purchase-free month. Catch up with some listening. Cleanse the purchasing palette. Re-establish dominance over the habit. A second later, a second idea: buy one item a week. Twenty dollars budget per week. A hundred & twenty for the month. Maximum of 3cm of LPs. No more than can be smuggled into the house under a raincoat. Hm. Perhaps this needs to be re-thought. What about a different approach? One based on the time-honoured AA model. “Hi. I’m Bruce and I have a vinyl addiction”. Sounds rather sordid and that doesn’t fit. Sure, there is an issue in there somewhere; identity, self-reward, distraction, whatever. But it is not right to either diminish those who are struggling with life-destroying problems nor ignore the joy that so frequently attends a passion for recorded music. So here’s the plan. I will write a diary – an honest one* – about my purchases of music during this month with a note about why I bought each item. As time allows, I’ll include listener responses for those discs that make it to the playlist. At the very least it will give my therapist a good chuckle, if not Ms Vinyl Connection. After dropping the boy at a school-holiday tennis clinic I adjourn to a nearby strip for a coffee. Also to check out the Op Shop** where I scored brilliantly a couple of weeks ago: a pristine copy of Pentangle’s ‘Sweet Child’, UK pressing. Something catches my eye. 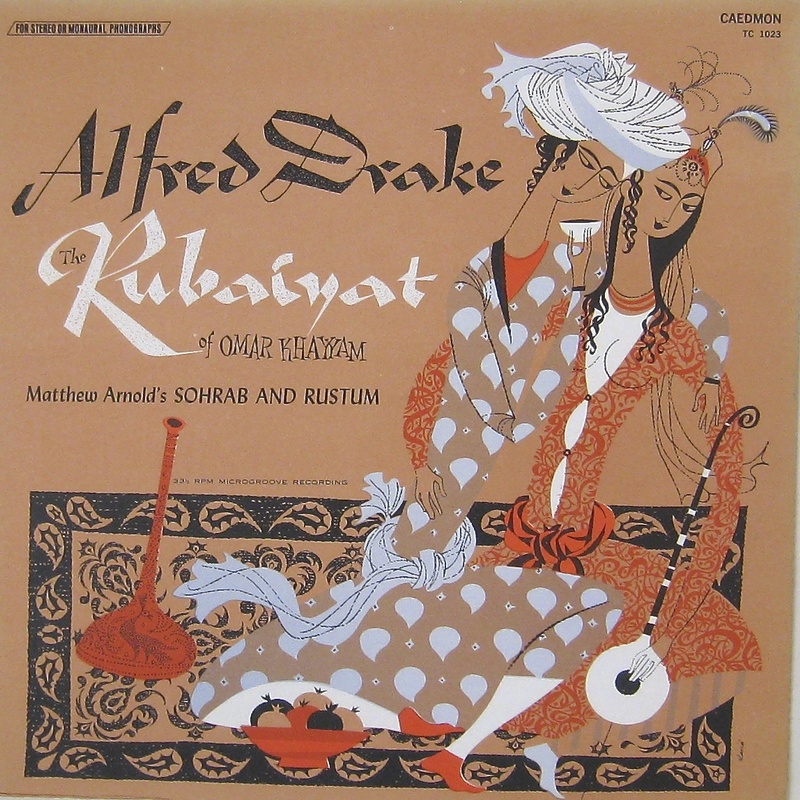 On the spoken word Caedmon label, a recitation of The Ruba’iyat of Omar Khayyam. As a young adult I loved the now-discredited Fitzgerald translation of this epic verse. Nice Persian-themed cover. 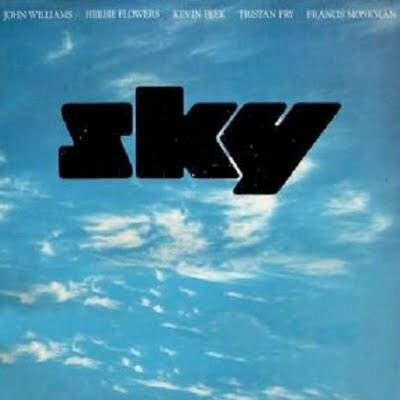 May as well also grab this clean copy of the first Sky album. Sure, they’re not even remotely hip but the playing is technically skilful. Two for two dollars. Maybe I’ll just check out the other Op Shop too. I don’t get to this one often as it’s hidden away in a retirement village and I’m increasingly scared that they’ll think I’m an escaped resident and inter me. There are stacks of records piled horizontally on shelves they share with books. It’s a mess. I ask the lady if she would mind if I re-arranged and adjusted the shelves so the LPs can be housed vertically. She seems surprised but gives me the nod, so I spend an industrious ten minutes shifting a couple of hundred worthless albums into a neat row. It’s about respect. Along the way, there is little of interest other than a Seekers LP I purchase for fifty cents for its cover. 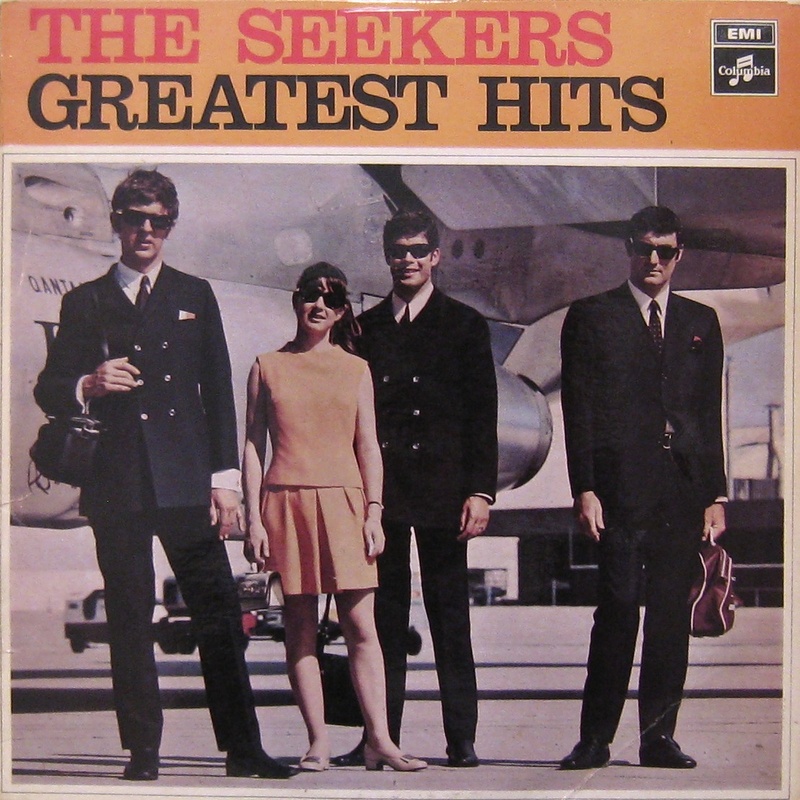 The jet-setting pop-folkies stand on the tarmac, Athol Guy clutching his official Qantas hold-all, Keith Potger close to Judith Durham, Bruce Woodley sporting an attractive shoulder bag; shades, suits and sixties. A superb snapshot. On the TV news this evening is a report that seventy year old Judith Durham has recovered from her recent stroke. She can sing, but has lost the ability to read and write. Keith and Athol flank her for the press call, surrounding her with protective affection. I come over all moist-eyed. * As the beloved Ms Connection sometimes reads the blog, I reserve the right to ‘plead the fifth’. I promise, however, to strive towards the idea of the goal of aspiring for transparency. ** Let’s define our terms here. If you know differently, please send corrections. The boy seems to have so much stuff in his room. How can that be? He needs a bigger wardrobe. We take a deep breath and head off to Ikea. Chore ticked off, I note we are not far from Quality Records…plus, which regular readers will recognise as a favourite haunt. A quick browse before lunch yields a nice little clutch of LPs including several from the worthwhile ‘$2 Bin’. Back in the 90s, local singer Lisa Young formed the amateur ‘Eltham People’s Choir’, to which I contributed wobbly bass baritone for a couple of years. I see one of her albums and liberate it from the bargain bin for loyalty’s sake. 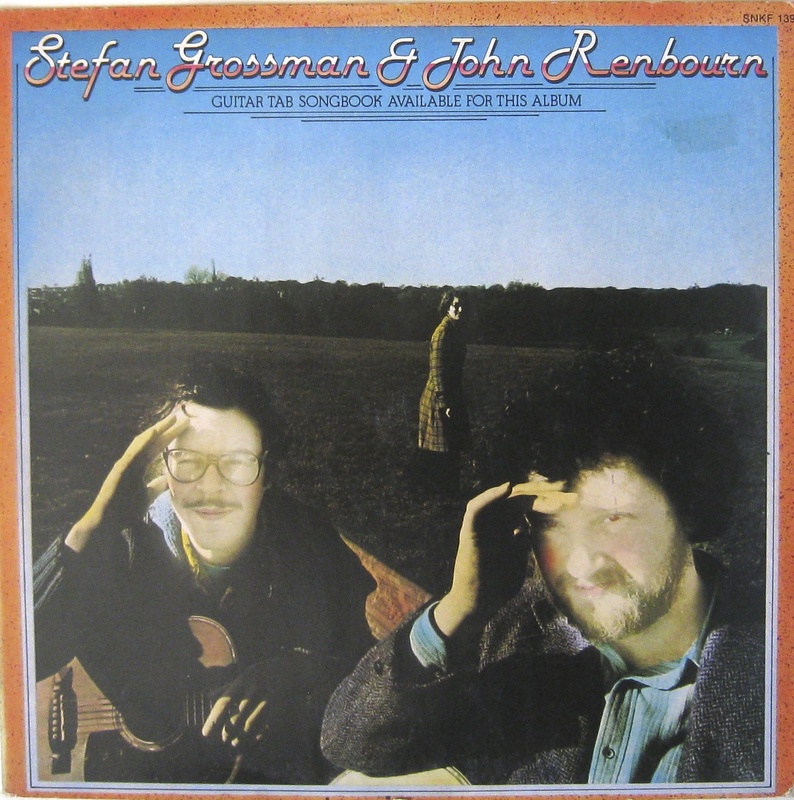 There’s also an album by folk guitarists Stefan Grossman and John Renbourn. I know the Englishman’s work much better than the American’s and take the opportunity to extend my knowledge of Mr Grossman for two bucks. In the jazz section an LP by Don Ellis catches my eye. I have a burn of his 1967 album ‘Electric Bath’ that I really like. It’s adventurous big band music led by Don’s energetic trumpet. This record, ‘Autumn’ looks in great nick for a late-60s release so I shove it under my arm. 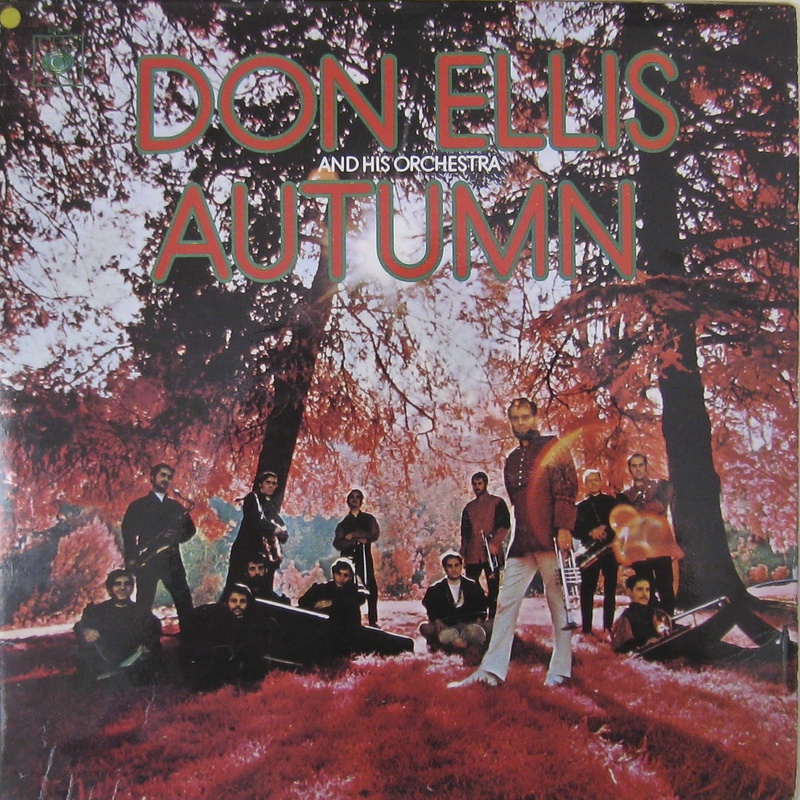 A later consultation with allmusic.com reveals ‘Autumn’ to be their pick from the Ellis catalogue, so that’s a good result. Morton Subotnick was commissioned to record an album for the 1986 apparition of Halley’s Comet. [In passing, exuberant ‘whooshing’ noises, please, for Edmond Halley who correctly predicted the next appearance of the comet that now bears his name but missed the celebration and boasting rights because the 1759 apparition occurred 17 years after his death]. 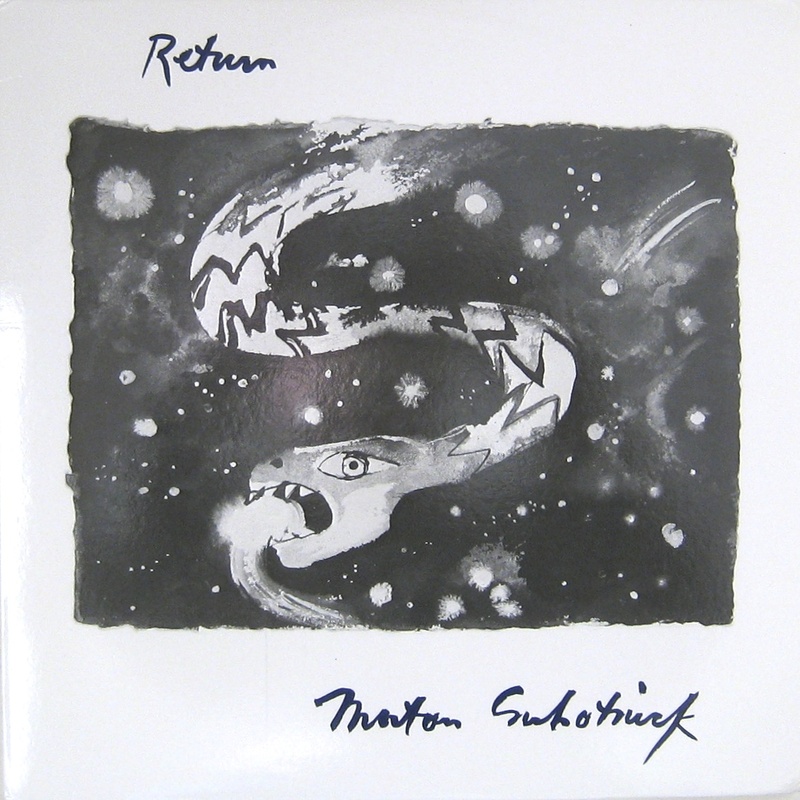 Anyway, almost 20 years after creating ‘Silver Apples of the Moon’, a seminal 1968 Nonesuch LP that has an honoured place in my ‘electronic’ section, Mr Subotnik returned to objects celestial for ‘Return’. On the cover the legend of electronic composition appears white-haired and alert. This will be fascinating. Next to it is an album that looks like composed music from the 80s. I’ve never heard of Daniel Lentz but ‘Missa Umbrarum’ has three things in its favour: it includes a piece for ‘rubbed glasses’, is on the same label as the Subotnick and has a terrific cover photo of the moon that complements the space theme. Sky: The playing is uniformly excellent. The main problem here is that it’s all so safe. At best, an accessible introduction to progressive instrumental music. At least, polite tea-room prog. Rubaiyat of Omar Khayam: To be honest, I find poetry recitation a stretch. Still, hearing some of the classic verses is a buzz. But what happened to his record collection? Stefan Grossman & John Renbourn: Fresh picked guitar duos, crisp yet fluid; a mapping of influences onto a sunny tablature of folk and bluegrass, with nods to historic sources. Tasty. Don Ellis: If you skipped big band music between Glen Miller and Deodato, Don Ellis is an invigorating wake-up call. Complex but spacious, there is invention and joyous playing all over this Al Kooper (Blood Sweat & Tears) produced LP. Interesting footnote: each side of this 1968 LP is a generous 28 minutes long. Daniel Lentz: Somehow the key composition fails to draw me in. Choral music is not a favourite and masses – whether Latin or Californian in provenance – even less so. Perhaps I was hoping for something more arresting, more adventurous, more odd. Side Two is less ecclesiastical in flavour and may get further plays. Morton Subotnick: History in a comet’s tail; a master electronic composer explores the universe of sound; humanity celebrated via computer generated music: bravo! If you have just stumbled across Vinyl Connection, feel free to wander back through the previous articles. Comments are always welcome. © Bruce Jenkins / Vinyl Connection 2013. Unauthorized use and/or duplication of this material without express and written permission from this blog’s author and/or owner is strictly prohibited. 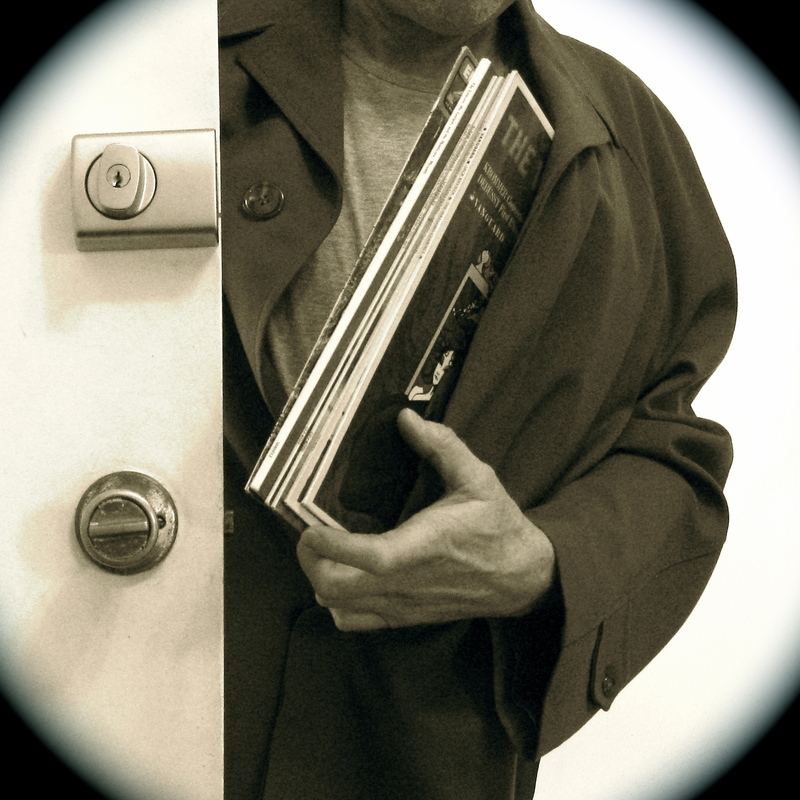 Excerpts and links may be used, provided that full and clear credit is given to Bruce Jenkins/Vinyl Connection with appropriate and specific links back to the original content. Copyright is not claimed for images of album covers / LPs. S’pose it all depends on whether I buy any more records. (Howls of derisive laughter, Bruce). Great entry. Not that I’d ever stoop so low as to hide new LPs in my car until Mrs 1537 was in the garden/bath etc…. Of course not. We’re men of integrity, if not restraint. Absolutely, and lords of our households too! Couldn’t agree more with your comments on Sky, there’s one great track the rest is too backgroundy for me. Indeed. Dizzy. My head is spinning. Like a whirlpool it never ends. 1. In my ignorance, I thought ‘caravanserai’ was a just made-up word that sounded a cool LP name. Seeing it above in the Ruba’iyat excerpt made me actually look it up. I am a smarter person now than I was before reading your post. 2. I’ve started buying used vinyl. I can feel the crazy seeping in… on the other hand, the cover on that original ’66 release Nancy Sinatra Sugar LP I picked up yesterday is a neat period evoker and I do like the idea of being a Trafalgar owner (which I am now after yesterday’s mania). 1. Having strolled (strode?) across the Nile to work and dallied in the Egyptian deserts, I confess I’m a trifle shocked to hear that you haven’t knowingly haunted the occasional caravanserai. But I’m gratified to have been of help. 2. Good for you. And already a twinge of genial vinyl envy – I don’t have Trafalgar but respect early Bee Gees greatly. If you reveal you picked up a pristine copy of Odessa with the velvet sleeve I’ll be ferreting out your address and calling (when no-one’s home).